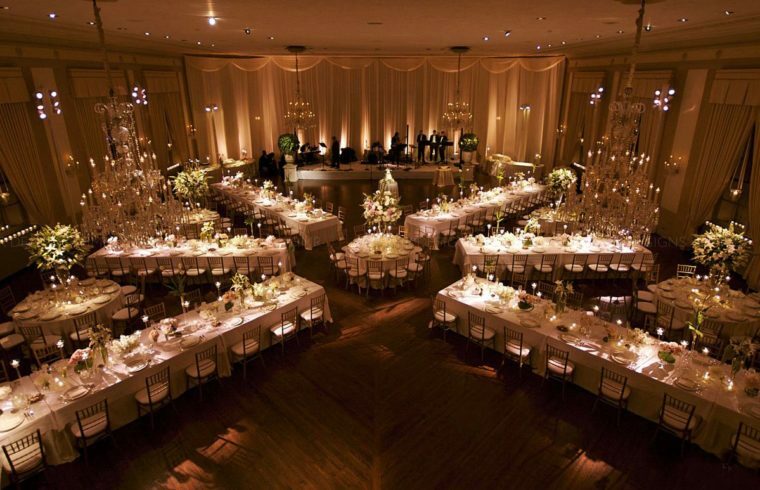 Now you want to know what exactly to consider in choosing the perfect event venue for YOU. There are so many reception venues out there but not all fits into your purpose. Never ever choose a reception venue just because it has space. There are so many things to consider. You need to determine if this venue works well for you to achieve your goal. The goal of having a lovely event. Here are just the basic guidelines in choosing your reception venue. Now, I must say, these are the main guidelines especially when holding an event in Nigeria especially in Lagos. Hall Capacity: This looks like a no-brainer but I tell you most people make the mistake of getting a hall that is just a little too small for the number of guests expected. If you are not too sure on the number of guests coming, then, at least have an idea. One cannot begin to imagine the calamity that could occur if you expected 300 guests and then 500 turned up. What? We don’t wanna imagine that at all. You might be offering a buffet styled reception but either ways , it’s not fair seeing guests standing up or roaming about because of lack of proper seating arrangements. . The hall was not only too small for the number of guests that came around, the groom could not achieve his aim of having his dream show ( a wedding runway) the bride also could not achieve her dreams of telling the groom how much she loves him with a special dance choreography because people were just everywhere, up and about the hall. It was more like a market place than a wedding, I must tell you! Location Of The Reception Venue Hall: Your location is a very important factor in selecting your venue hall. Major reason is the traffic. We all know how bad traffic can be and unpredictable too. You really do not want your guests waiting for you or vice versa because you are stuck in the traffic. Bumper to Bumper sometimes too. So choosing a reception venue at a location closer to where the ceremony is held is always the best option. You also need to consider your guests coming from another state who might not be very familiar with our roads. Think about security measures too. Basic Venue Hall Amenities: It’s your event but you also need to think of the health, safety and happiness of your guests. Choose a venue hall that has the basic amenities to take care of you and your guests. Does it have clean and good standard toilet facilities for both male and female? Does it have a standby generator, car parking space, steady power source? And if outdoor, do they provide cooling fans for your guests? Even if the venue is your best choice and it has no adequate car park, make provisions for your guests. Also, be ready to ”hire some car parking attendants to supervise it without blocking the road for others going about their daily businesses. Don’t forget to look for the emergency exit signs in case of a fire. Decoration: The hall looks tidy and neat on the outside but very plain on the inside (just like a classroom). Now some of you might like that as it provides a blank canvas easy for your event decorators to take advantage of and create your dream design. If you are on a budget, that means you should not be looking to spend more on decorating. On the other hand, if you choose a hall that already has excellent drapings, chandelier. It would make decorating a bit easy for your decorators and cheaper too for your pocket. Theme or Style Of Your Wedding: It’s really not a very common factor in determining a venue hall especially in Nigeria, as most events do not have come with a distinct theme. But if you do care about the outdoor event shoots, you should be looking for venues with good outdoor feel and ample outdoor space. I love a bit of greenery so I see no reason to rent a hall that looks just like any other building in the area with almost same structures. A city themed event might hold in such areas but not everyone might like the idea. Some prefer a hall that comes with a garden for instance. I, for one would definitely hate to take pictures in a cramped place overlooking car parks and moving vehicles. If, like me, you want a hall that gives the romantic look, then look for a venue that offers you the space for your photographer to take the romantic shots that you would cherish forever.